It is now official that the Sony PlayStation VR headset will be here in mid-October, to be more specific, on Thursday 13. The PlayStation VR was announced several months ago and while we were in the know that Sony will be releasing the headset in October, there were no specifics regarding the official release date of this device. However, this is no more as the Japanese tech giant has finally set a date for when to release this VR headset. This information was revealed at the E3 2016 show, with Sony confirming that indeed the PlayStation VR headset will be released on this date. In case you didn’t know, Sony’s VR headset is a slightly different from what the likes of HTC Vive and Oculus Rift VR offer. Rather than depend on a gaming PC to unleash its power like its counterparts, the PlayStation VR will only need a PlayStation 4 gaming console. According to Sony, the headset will come with at least 50 different games based on VR that gamers can enjoy once they plug the VR headset into a PS4 console. The list will include household names such as Batman and Star Wars. There will also be the new Resident Evil 7 game available via the headset as well as Final Fantasy XV, among others. Sony PlayStation VR will go on sale at a price of $399, making it the most affordable of the high-end offerings in the VR world, which includes the aforementioned HTC Vive VR and Oculus Rift VR as well as the likes of Samsung Gear VR and Google Cardboard. According to Sony Interactive Entertainment president and group CEO Andrew House, there might be some shortages with respect to this product. Still, House is still adamant that his company will try as much as possible to meet the demand. It is expected that a good number of the more than 40 million people using PlayStation 4 out there will want to grab themselves a new Sony PlayStation VR headset. With this in mind, we expect competition for this product to be high. But the question is will PS4 owners want to buy a new Sony VR headset? 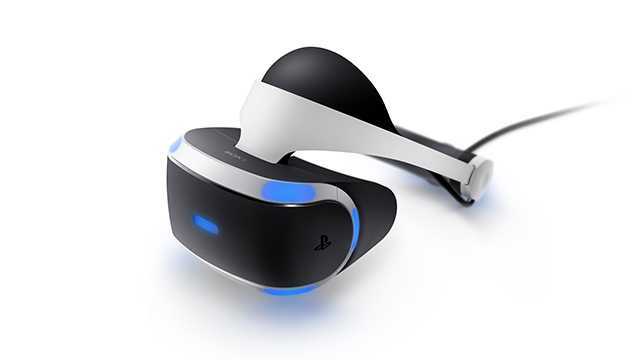 Only time will tell this, but with Sony’s move of partnering with major names in the gaming industry, it is possible that quite a significant number of VR enthusiasts who own a PS4 will want to buy themselves a PlayStation VR headset in order to get a different gaming experience based on virtual reality. Next Next post: OnePlus 3 Finally Unveiled – The Perfect Android Smartphone?